To a stranger, it might not be the cutest present under the tree, but to a grandma, grandpa, mommy, daddy, aunt, uncle, or other loved one, it’s the cutest one there is. 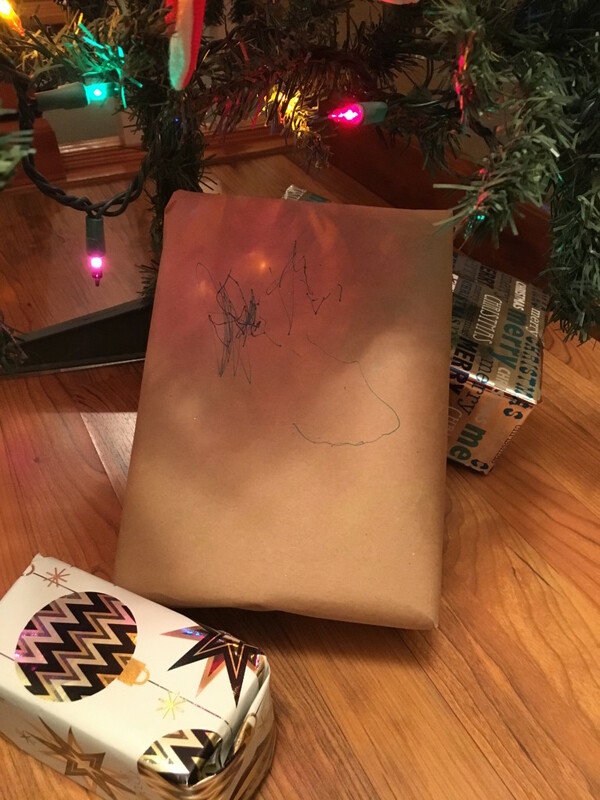 This Christmas, use brown packing paper as wrapping paper and let your little one color all over it! Best wrapping paper ever! Plus, your kiddos have fun ‘helping’ you wrap presents . Heck, I think this would make cute wrapping paper even without the doodles! Use a calligraphy pen to write the ‘To’ and ‘From’ right on the paper. You could also add some Bible verses to it. Finish the present off with some twine wrapped around it tied in a cute little bow. Adorable! What wrapping ideas do you have? …is Jesus! I thought this would be a fitting time to share the story of the birth of Jesus. Thanksgiving has passed, and Christmas is upon us. In fact, our Christmas festivities already began last weekend, will continue this weekend, and not end until the week after that. It’s easy to get caught up in all the hubbub that surrounds this season – decorations, lights, gifts, get-togethers, food…the list is endless. 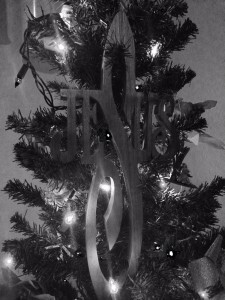 Let’s stop for a minute and remember the TRUE reason for the season – Jesus. 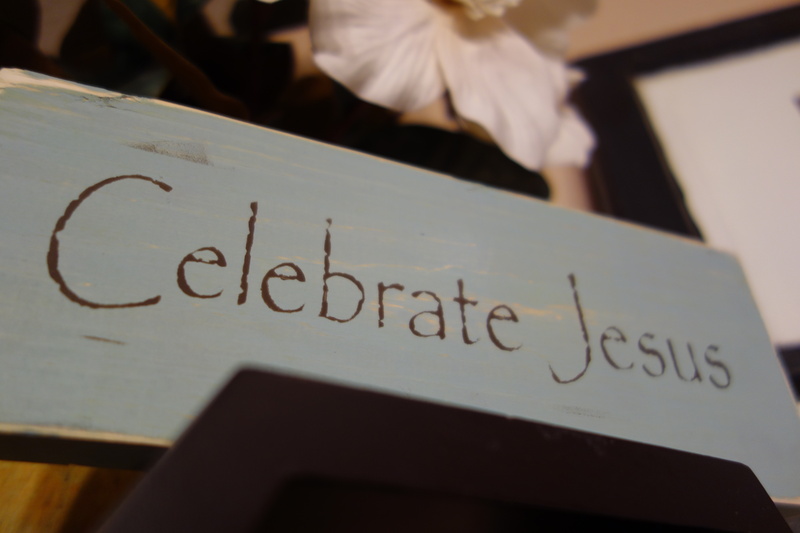 A few weeks ago I was at a craft fair (looking for Christmas gifts, nonetheless), and a wooden plaque that read “Celebrate Jesus” caught my attention. These two words are so simple, yet so profound, aren’t they? 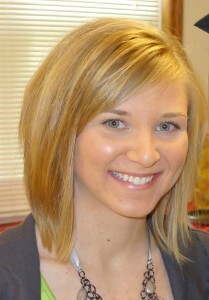 They pricked my soul, causing me to stop and think about the upcoming Christmas season. Our Christmas tree has been up since just after Thanksgiving. Last year, my husband had the bright idea (seriously) of storing the tree, fully decorated and intact, in our basement. It took literally 3 minutes for us to ‘trim the tree’ this year – how convenient! The rest of our house; however, was lacking the Christmas spirit. This weekend, my husband and I finally had time to do a little more decorating. Using sticks I spray painted from our yard, unused treasures in our basement, and some items from Wal-Mart, we decorated our mantel (all while listening to Christmas music). The hubby even helped! He’s such a wonderful husband . Though we enjoy Christmas lights, decorations, gifts, and time with family, this is not the TRUE reason for the season. Christmas is the celebration of Jesus Christ our Lord and Savior’s birth. Let us not lose our focus – Jesus is the reason for the season!